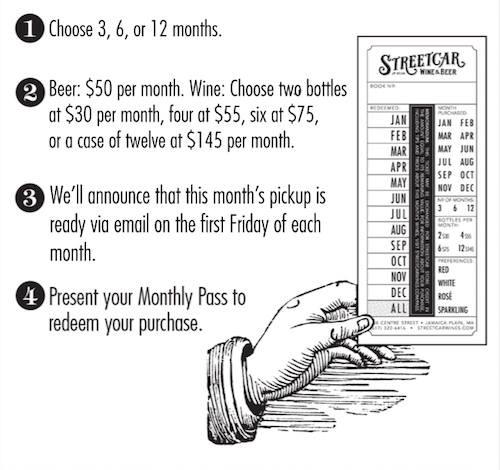 The WINE PASS is a carefully selected package of wines to take home each month, with descriptions and serving suggestions for each wine. Like the wines you'll find on our shelves, those selected for the Pass are made by passionate, conscientious, small-scale winemakers. And that's where the commonalities end. Your open mind will be rewarded with exciting new flavors coming from wines of practically limitless origins and viticultural philosophies. Our selections will reflect the season, so expect more whites and rosés in the summer and more reds in the winter. The BEER PASS assortment of all things hoppy, malty, pale, dark, wild, sour, spicy, fruity ...all kinds! Expect various formats: small and large, bottles and cans. The volume of beer you receive each month may vary, but the value of the beers provided will always exceed what you’ve paid. To be clear: if you only drink IPA, the Beer Pass is not for you.